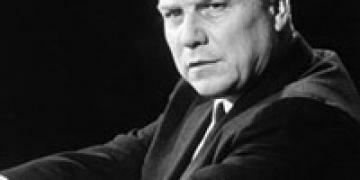 James Riddle Hoffa was a well-known American labour leader and president of the International Brotherhood of Teamsters for ten years from the mid 1950s. The Teamsters Union were well known for their connections to organised crime and underworld dealings. In 1964 Hoffa was convicted of misappropriating nearly $2million in union pension funds and was imprisoned in 1967. His sentence was reduced by President Nixon on the proviso that he agree to stay out of union politics until 1980, the full term of his prison sentence. However, Hoffa had no plans to adhere to Nixon's restrictions and he began to make plans to regain his control of the Teamsters. Hoffa’s subsequent unexplained disappearance in 1975 has remained a mystery to which many people have sought to find the answer. No body has ever been found, and no one is behind bars for the crime; his assumed murder. On 30th July 1975, Jimmy Hoffa stood outside the Machus Red Fox Restaurant in Bloomfield Township, Michigan, impatient that the men he was supposed to be meeting for lunch had not yet arrived. He was last seen wearing a dark blue shirt, blue trousers and black Gucci loafers walking to a nearby telephone booth, to call his wife Josephine to tell her that he appeared to have been stood up. Josephine Hoffa later commented that she thought her husband seemed uncharacteristically nervous before he left home that day for his lunch meeting. Hoffa had arranged to meet Detroit mobster Anthony 'Tony Jack' Giacalone and New Jersey labour leader Anthony 'Tony Pro' Provenzano, also a member of the Genovese crime family, to discuss his intention to run for the presidency of the International Brotherhood of Teamsters, the powerful position he had lost in 1964 after convictions for jury tampering, conspiracy and fraud. Although Hoffa had enjoyed close relations with the Mafia in the past, they were now unsure whether or not they wanted him back in power. While Hoffa had been in prison, the Mafia had come to prefer the ways of his successor, Frank Fitzsimmons because he was easier to manipulate and they did not want anything to change within the Teamsters. Soon after Hoffa finished his phone call to Josephine, a maroon 1975 Mercury Marquis Brougham pulled out of the restaurant car park, nearly hitting a truck. The truck driver, who was making deliveries in the area, pulled up to the car to confront it and he immediately recognised Jimmy Hoffa sitting in the back seat. The driver also noticed a long object covered with a grey blanket on the seat between Hoffa and another passenger, which he believed could have been a gun or rifle. He did not take note of any of the other passengers in the car however. The following day, Hoffa's green 1974 Pontiac Grand Ville was found unlocked in the restaurant car park and Hoffa has never been seen since.